Yes, you can borrow more items! All students can borrow up to 10 CDs/DVDs as part of their overall allowance. This came about after a student in the Vocal department asked us at a Student Staff Liaison Group meeting whether we could increase the item allowance for singers. Singers often have to find lots of repertoire from a range of sources for their recitals since songs and arias are relatively short compared to many instrumental pieces e.g. sonatas. Sometimes they found they needed more items than we permitted them to borrow, and this had also come up as a concern at a Vocal Department meeting. We were happy to consider this request and were able to increase the allowance for all students. So now you’ve got this extra allowance, what are you going to borrow? Here’s a couple of ideas for singers. We recently purchased several songs for a concert celebrating Jonathan Dove’s 60th birthday. Our purchases include All the Future Days (for mezzo-soprano and piano), Out of Winter (tenor and piano), and The End (tenor, flute, oboe and string quartet). These along with other Dove songs can be browsed at 780.3 DOV. This collection edited by Willis C. Patterson contains works by over 20 different 20th and 21st Century American composers of colour, including Florence Price and William Grant Still. It also includes biographical information about the composers. A great choice to broaden your repertoire and educate yourself about composers who may have been overlooked in their time. Find it at 780.309 ANT in the Jerwood Library. If this anthology whets your appetite, check out the The African American Art Song Alliance which exists to bring together performers and scholars interested in art song by African-American composers. They even have a research award named after Willis C. Patterson, the editor of this volume! We welcome suggestions of sheet music and scores we can purchase to develop our collection in this area and are grateful to students and staff who already make suggestions. Below are details of the various pieces of accessibility equipment available to students when reading in the Jerwood Library. Many of the items in this list will be of particular use to dyslexic and visually-impaired students, but anyone who thinks they might find them helpful is very welcome to use them. All of the items can be borrowed from the library issue desk for use anywhere in the library. For those who have difficultly reading text on a white page, there is a whole range of differently coloured transparent page-overlays. A very bright, foldable, wireless LED light. This digital magnifier uses a macro-lens camera to display enlarged text on a screen. 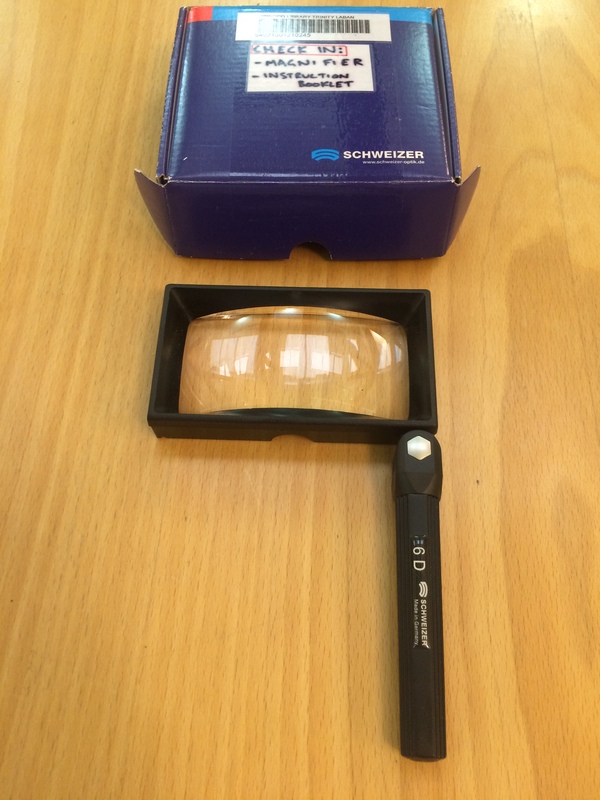 It has a very clear display and can be set to 4x 6x 8x or 11x magnification. 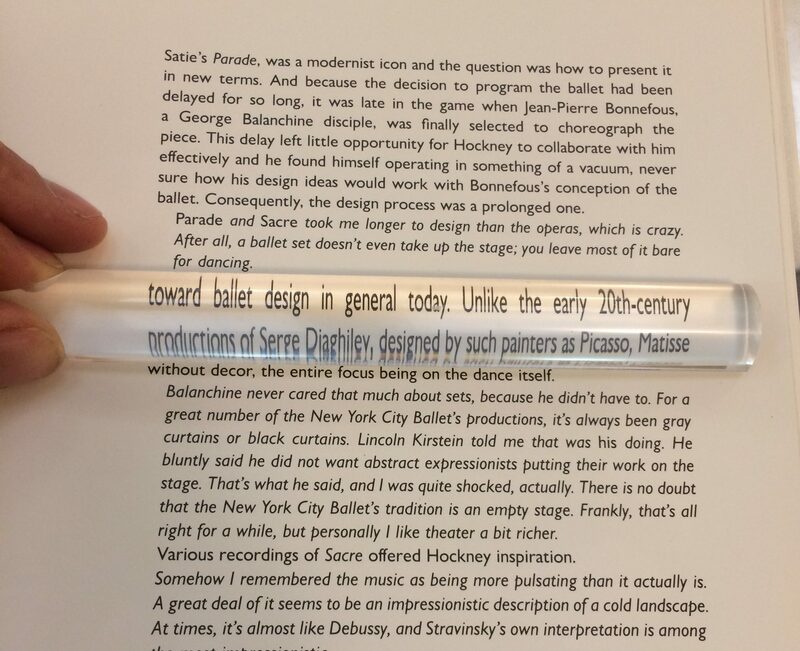 An acrylic strip that helps enlarge individual lines of text as you read. Rather self-explanatory, this one. You hold it in your hand, it magnifies things…it’s made of glass. 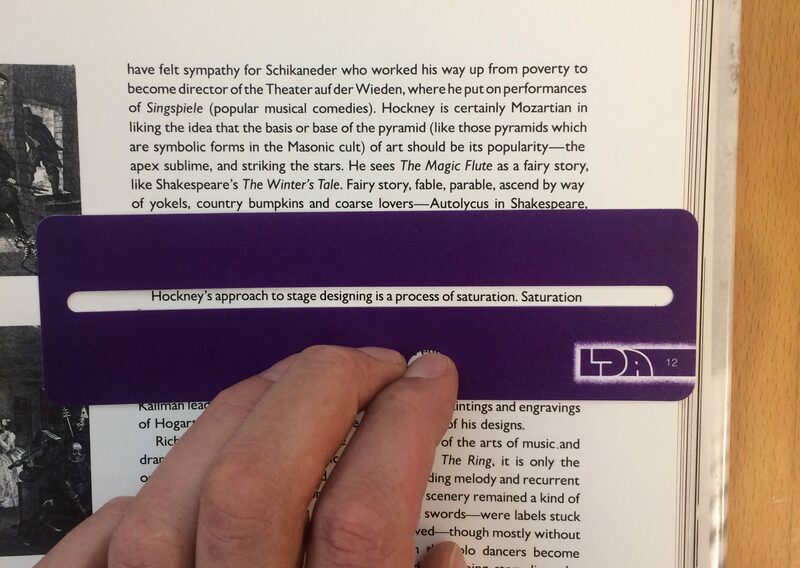 This is simply a piece of card that allows readers to isolate each line of text in turn as they move down the page. Interpreter v. Composer: Interpreting the Grandes Etudes, op. 10 and op. 25. Concert footage from 2007 including his own compositions and an hour long interview. via our various Online Resources. 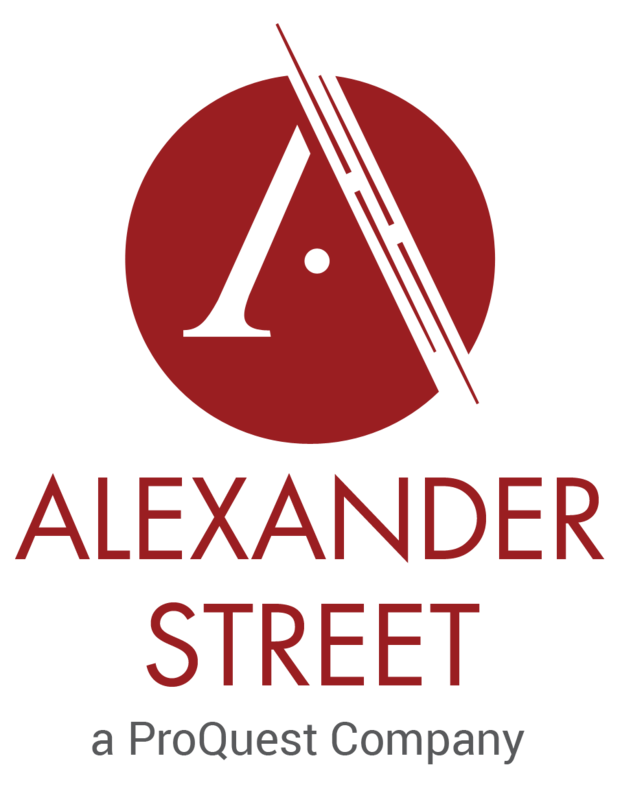 We have recently integrated into our library catalogue over 10,000 scores from the online resource Alexander Street. They’ll now appear alongside regular search results, and can be filtered by using the new ‘Digital Score’ option from the catalogue item type drop-down menu. Our next little exhibit in the series celebrating Trinity Laban’s Venus Blazing season showcases choral works by Judith Bingham. Bingham started composing from an early age, entering the Royal Academy of Music in 1970, studying with Alan Bush, Eric Fenby and later Hans Keller. She won the 1977 BBC Young Composer Award. As a singer, she performed regularly with the BBC Singers through the 1980s and 90s and thus choral music has always been an important part of her oeuvre, or to quote from Mike Wheeler’s review of one of the CDs in our display, “Judith Bingham certainly has choral music in her bones”[i]. Our library exhibition case features three works. Salt in the Blood : a ghost story for SATB chorus and brass ensemble was commissioned for the BBC Proms in 1995 and is dedicated to Trinity Laban’s very own Stephen Jackson, who conducted that first performance. Bingham was inspired to write it when listening to Henry Wood’s Sea Songs at the Last Night of the Proms the previous year, going on to invent a ghost story based upon John Masefield’s Sea Superstitions about an argument between two sailors as to which of them was the better dancer – a quarrel which ends in tragedy. Structured around four traditional shanties and three newly composed hornpipes, the theme of weather pervades the whole work. A seasoned sailor herself, Bingham says “your life becomes the weather”. [ii] Fragments from other works are also integrated, including sources as diverse as the Beaufort Scale, Bram Stoker’s Dracula and the ship log of the East Indiaman “Buckinghamshire”. First Light is another work composed for chorus and brass, commissioned by the Waynflete Singers in 2001. Bingham’s interest in mystical philosophies was shared by her friend and poet Martin Shaw, whom she asked to write a poetic text about the Incarnation. Again Bingham drew on sensory influences, this time from a summer spent in Greece that very year. She was touched by a twelfth-century fresco featuring a Virgin and Child and two angels in a monastery on Patmos. Furthermore, when staying in a room opposite Athens Cathedral, strains of the peculiar carillon of Athens Cathedral wafted across to her and that motif, with its unusual sequence of intervals, became the musical basis of the piece. If this has whetted your appetite, Trinity Laban’s Chamber Choir, directed by Stephen Jackson, will be performing works by Bingham (along with Maconchy and Holst) tonight (Thursday 14th March) in Southwark. If you miss this they have another performance at 1pm on Thursday 28th March in Greenwich’s St Alfege Church so why not pop along! Bingham, Judith. First light: for chorus and brass. London: Peters, 2001. Bingham, Judith. Irish Tenebrae: 7 folk song settings for soprano, violin, chamber organ, percussion and men’s voices. London: Peters, 2007. Bingham, Judith. The secret garden; salt in the blood; first light, Thomas Trotter, BBC Symphony Chorus, Fine Arts Brass, Stephen Jackson. CD, Naxos, 8.570346, 2007. Bingham, Judith. Remoter worlds: choral music by Judith Bingham, BBC Singers, David Hill. CD, Signum, Classics, SIGCD144, 2008. [ii] Judith Bingham, liner notes to The secret garden; salt in the blood; first light. (CD, Naxos, 8.570346, 2007), 2. [iii] Judith Bingham, liner notes to Remoter worlds: choral music by Judith Bingham. (CD, Signum Classics, SIGCD 144, 2008), 6. Happy International Women’s Day! I’m delighted that Trinity Laban is presenting Venus Blazing: A Celebration of Song for International Women’s Day 2019 which will be broadcast live on BBC Radio 3 at 1pm today. International Women’s Day (IWD) has the theme #BalanceForBetter this year, which fits in perfectly with the Venus Blazing project which aims to redress the imbalance between programming works by male and female composers. The Jerwood Library already introduced our women composers catalogue search limiter to aid in this goal; we’ve dedicated one of our display cases to women composers this academic year; and we are actively developing our collection of music by women and books about women composers to #BalanceForBetter. Although the present-day ‘official’ IWD is a professional affair with dedicated hashtags, corporate partners and a celebratory feel, the event has roots over a hundred years old in struggles to win the right to vote and better pay and working conditions for women. It’s interesting to consider what societal structures and political contexts have led to the historical dominance of men as composers and professional conductors and players, despite the huge number of talented and experienced women musicians playing, performing and running ensembles in non-professional settings. A topic that deserves more detailed consideration than I can dedicate to it now, I feel, but if this interests you I recommend looking up The Woman Composer: Creativity and the Gendered Politics of Musical Composition by Jill Halstead in the library (shelfmark 787.331 HAL). Although a little dated in places (published 1997), this work explores a variety of potential reasons for the relative scarcity of women composers through history up to the late 20th century, ranging from psychological through education, social history and the gendered politics of music and musicology itself. Halstead finds evidence for some of these causes and not for others, but you’ll have to read it yourself to find out which! Take note – why do women composers still take up less musical space? by Susanna Eastburn, chief exec of Sound and Music (The Guardian, 8/3/19). This article examines contemporary reasons for women being discouraged from composition. Happy IWD! by Kate Crane at University of Cambridge Libraries, 8/3/19. This blog post considers some reasons music by women may have been overlooked historically, and also links to some resources promoting music by women. How ever do you find….? It’s hard to do these searches in any library catalogue, but in these short videos we have identified some useful strategies and tips to show you how to get the best out of the information in our catalogue records. Both videos take you through how to construct a search by date and where to put the various keywords and numbers. This means those numbers appear in the author / composer field and can be used to search that field. [1756, or 1756-1791 OR 17?? Or 192?]. This is the date searched by the Publication year search filter. The other useful search filter is the Subject filter. Enter here the names of the instruments (e.g. flute or violin or flute and piano) or the voice range for songs (e.g. Songs (Medium voice) and piano). Combine all these elements and you’ll be able to extract useful composer/title information of music relevant to a particular date. Through the Jerwood Library’s online resources, students and staff now have access to Richard Taruskin’s seminal Oxford History of Western Music in interactive digital format. The work provides a narrative account of the evolution of Western classical music, beginning with the earliest notations right through to the music of the late Twentieth Century, and was originally published in 2009 as a set of five large volumes. The library does have a hard copy of the set in our reference collection, but now it’s also available online the full text is extremely easy to navigate, and can be searched and browsed in its entirety, along with all footnotes, bibliographies, and further readings for each of the 69 chapters, numerous illustrations, and 1,800 musical examples. Moreover, the Oxford History of Western Music online features 1,700 editorially chosen deep links to relevant entries in Grove Music Online (which is also available via the library’s online subscriptions). For instance, when reading about a particular composer in Taruskin’s work, a user will also be able to click through to the relevant Grove Music Online article for further in-depth information. It’s 200 years since the birth of Clara Schumann (née Wieck) (1819-1896), and the Jerwood Library is marking the occasion with a small exhibition dedicated to her life and work displaying a range of materials available from our collection, including books, scores, and recordings. In her time, Clara Schumann was best known as a virtuoso pianist, considered the peer of such keyboard giants as Liszt, Thalberg and Anton Rubinstein and known as Europe’s ‘Queen of the Piano’. She sustained a brilliant career for over 60 years, and her playing was described as displaying a ‘masterful technique, beautiful tone and poetic spirit’. Clara began her career as a child prodigy, tutored intensively by her father, she astonished the public and fellow musicians all over Europe with her talents. 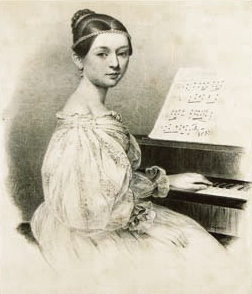 Clara also composed an accomplished series of around 50 pieces, greatly admired by her contemporaries, most of which are songs and piano miniatures. However, after the death of her husband Robert in 1856, although Clara continued her career as a virtuoso performer, she more or less stopped composing altogether. In light of the quality of the works she wrote earlier in her life, what she could have produced if she hadn’t been constrained by the demands of raising and providing for eight children, as well as the social mores of her day, remains one of those great ‘what-ifs’ of music history. Clara began her Piano Concerto in A Minor op.7 when she was only 13 years old, and it is her only surviving orchestral work. She first performed the piece three years later on 11 November 1835, at the Leipzig Gewandhaus under Mendelssohn’s direction. It’s a central piece in her early compositional career, displaying both her virtuosity and her innovative musical thinking, and comes from a period of her life filled with concert tours and plans for new works. 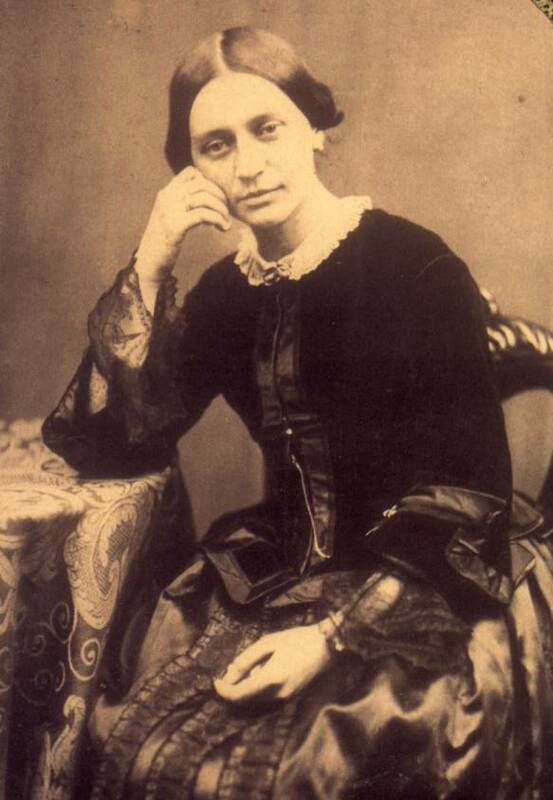 Clara Wieck and Robert Schumann, whom she had known since childhood, wed in 1840, the day before her 21st birthday. Their marriage was a rare partnership: the two musicians studied scores together and read poetry for possible settings; she arranged many of his instrumental works for piano and acted as rehearsal pianist for groups he conducted. Robert’s work became known to the musical world through her concert tours in Austria, Belgium, France, Germany, Denmark, Switzerland, Russia, and England (she made 19 trips to the British Isles). Almost all his orchestral works were introduced in concerts in which she was the solo artist and she gave the première of almost every work he wrote for or with piano. Clara still managed to continue to perform, teach and compose whilst also having eight children with Robert. However, despite her aptitude for composition, her teaching and performance, as well as the promotion of her husband’s works, eventually took precedence. This was particularly the case after Robert’s death, when she began to take on a persona as solemn ‘priestess’ of music. Dressed in black, performing ‘serious’ works, she devoted herself to her children and her husband’s memory and music. 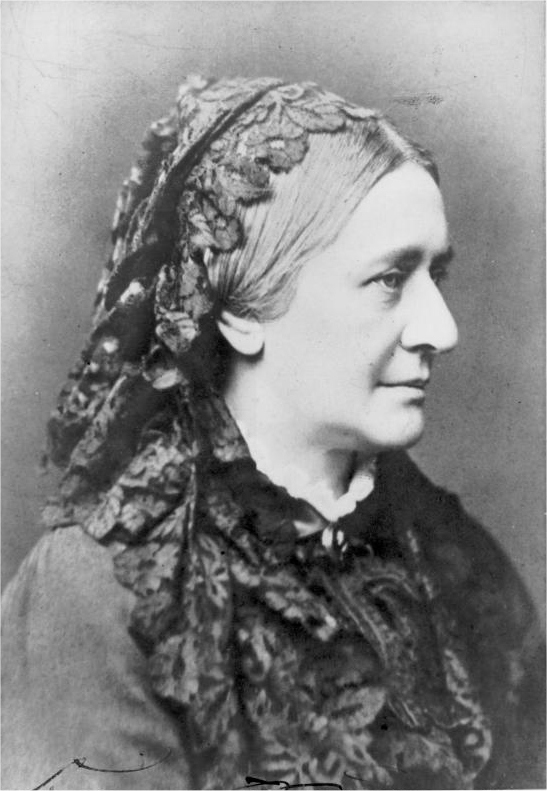 Clara Schumann’s illustrious career as a pianist lasted for over 60 years. As Europe’s ‘Queen of the Piano’, she had a considerable influence on concert life and pianism in the 19th century, and many of her innovations in performance practice remain to this day. For example, she was one of the few pianists to perform music from memory and (with Liszt) one of the first pianists to give solo concerts without assisting artists. With Clara, the piano recital became an event in which the compositions themselves were of foremost importance, rather than the virtuosity of the performer. At the time, pianists tended to give entire concerts of their own works, whereas she introduced Bach, Scarlatti, Beethoven and Schubert to audiences more accustomed to showy variations on popular melodies. As chamber music is one of my musical passions – and in particular, the string quartet – inspired by Venus Blazing, I decided to see what the library had to offer in terms of String Quartets by women composers. To help me do this, I was able to use the new “women only” search limiter in the Jerwood Library Catalogue. At the time of writing, my search (as pictured above) returned over 70 search results. These results contained a mixture of scores, parts, online scores and ensembles including string quartet and voice, for example. These are by composers such as Sophie-Carmen Eckhardt-Gramatté (1899-1974), Doreen Carwithen (1922-2003), Elizabeth Maconchy (1907-1994), Doroth Gow (1893-1982), Elisabeth Lutyens (1906-1983), Grazyna Bacewicz (1909-1969) and Priaulx Rainier (1903-1986), to name just a few! From my search results, I noticed that the library has several string quartets by Elizabeth Maconchy and Elisabeth Lutyens. When using Quicksearch [available to TL staff and students only] to research women composers and the string quartet, I came across a very interesting article in the Journal of the Royal Musical Association, by our very own Dr Sophie Fuller. 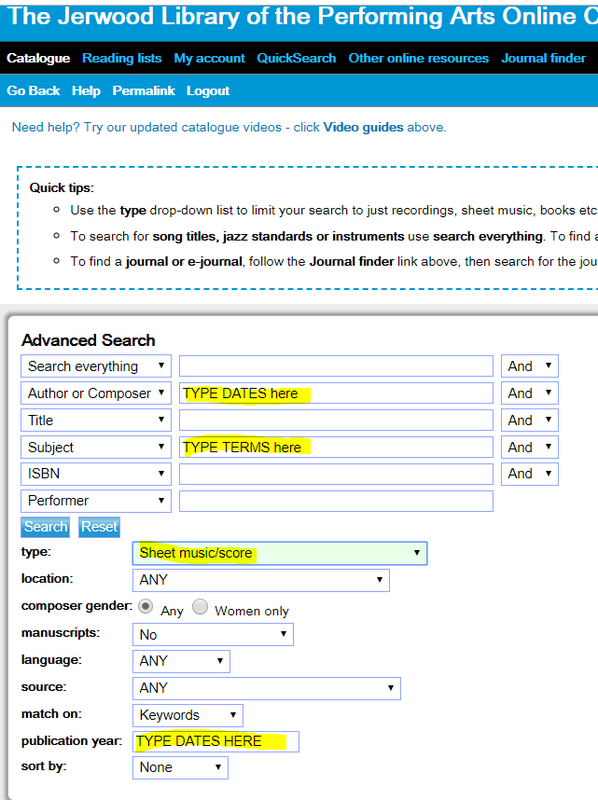 If you need help searching for repertoire by women composers, please don’t hesitate to ask and don’t forget that if there is a particular piece of music you would like to play, which the library doesn’t have, you can fill in a Purchase Request Form available from the library or via Moodle. You can also read Sophie’s full article via Quicksearch or take a look at the hard copy in the library. Also, why not check out this new book on the subject: ‘British Women Composers and Instrumental Chamber Music in the Early Twentieth Century’ by Laura Seddon. You can find more books on Women Composers on the new items shelf, by using the ‘Women only’ filter in the catalogue and by looking at our new books in the library catalogue. As we enter the last few days of term and many students will be heading home for the Christmas vacation, now seems a good time to draw attention to a few great sources of digital sheet music that you can access anywhere with an internet connection. Many of you will doubtless already be keen users of IMSLP, which includes PDFs of nearly half a million scores. It’s a fantastic source of – primarily – public domain scores (though just note that it’s a Canadian site, so some scores which are in the public domain in Canada are still in copyright in the EU and thus can’t be downloaded here in the UK). But how many other sources of digital scores are you familiar with? 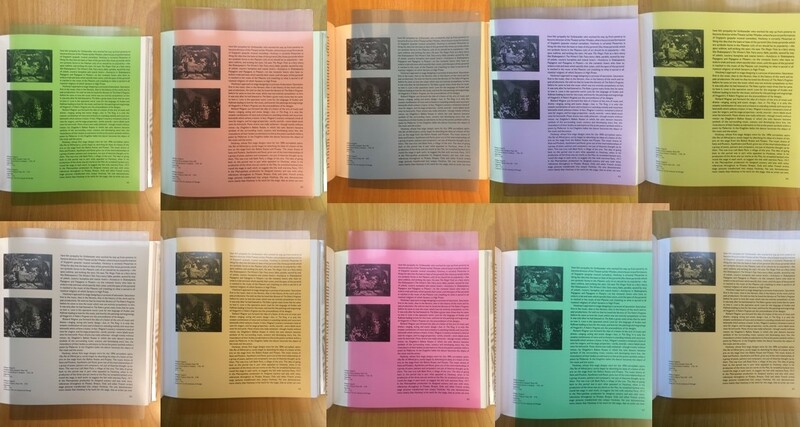 The Jerwood Library’s subscription to the Music Online package from Alexander Street Press includes nearly 12,000 digital scores. This spans a huge range of repertoire, and – because it’s a subscription resource that Trinity Laban pays for on your behalf – it includes contemporary works that are still in copyright. They are great resource for your assignments and can also be used for rehearsal purposes, but just be aware that the licensing terms of the collection mean these scores can’t be used for public performance. 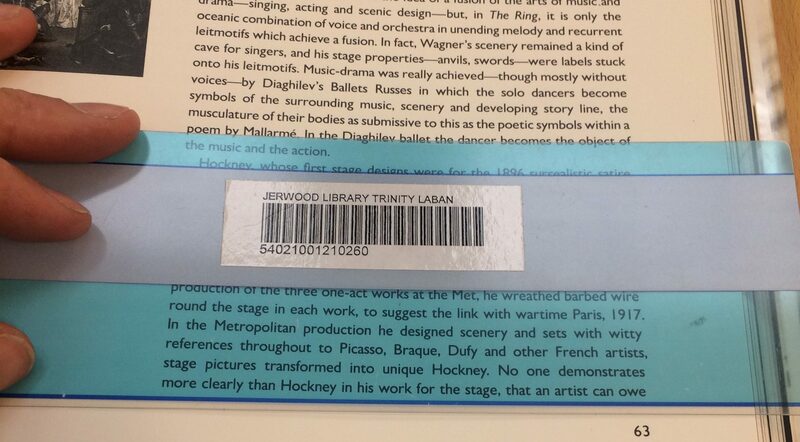 You can search these via the Jerwood Library catalogue by limiting your search to digital scores. There are also many freely accessible websites that focus on particular composers, genres, repertoire or library collections. The Choral Public Domain Library currently hosts over 30,000 choral and vocal works and also includes a handy function to search for sacred music categorized by season. A number of music publishers include perusal scores on their website (in some cases you may have to set up a free account to view them). See for example Music Sales, Faber and Boosey and Hawkes. It’s also worth noting that the British Music Collection includes perusal scores for works by a large number of British composers, again including many contemporary scores. Whilst you can’t use perusal scores for performance, they may fulfil just the function you need when writing assignments or selecting repertoire. If you come across something that you think it would be useful for the library to buy, do complete a purchase recommendation form. Some publishers have made the scholarly editions of particular composers available online. Examples include the Neue-Mozart Ausgabe Online, offering a digitized version of the music and commentary of the entire Barenreiter critical edition, and the Carl Nielsen edition comprising a 32 volume critical edition of Nielsen’s works. Finally, many libraries undertake digitization projects, often focussing on rare or unique holdings within their collections. The Full English is a collaborative project between the English Folk Dance and Song Society and a number of library partners resulting in the world’s largest collection of English folk manuscripts. Gallica is the digital library of the Bibliotheque Nationale de France. It includes a wealth of digital documents, with the music scores subset searchable from this page. and refine your results to those available online.